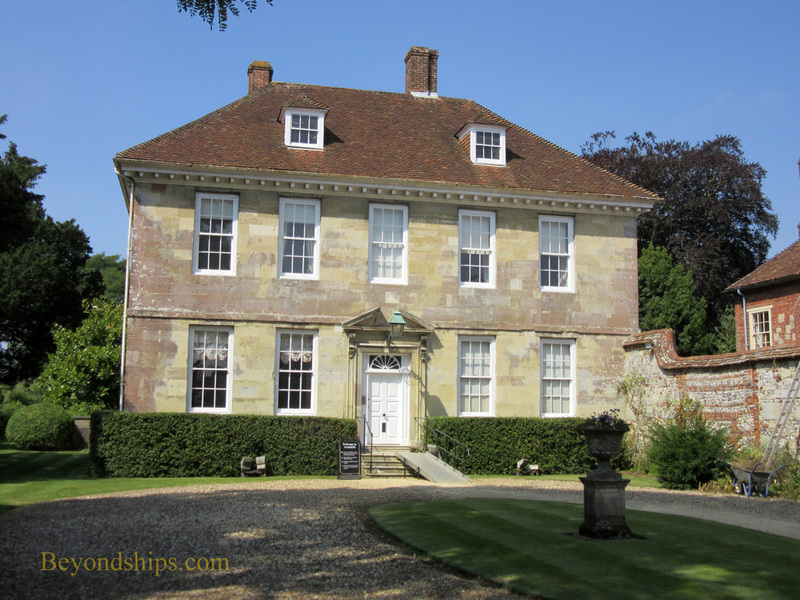 Located in the Salisbury Cathedral Close is Arundells, the home of former Prime Minister Sir Edward Heath. Sir Edward was leader of the Conservative Party from 1965 to 1975 and prime minister from 1970 to 1974. Arundells became his home after leaving politics and he lived there until his death in 2005. The house has been preserved much as it was during Sir Edward's tenure and as such is of significant historical interest. Arundells dates from the 13th century. Its first recorded use was as a medieval canonry. However, after Leonard Bilson was arrested and imprisoned for practicing sorcery and magic, the Cathedral Chapter began to lease the house to lay tenants. In 1609, Sir Richard Mompesson carried out a major restoration of the house and in 1718, John Wundham rebuilt a large part of the house giving it much of its present day appearance Wyndham's daughter Ann married the son of the sixth Lord Arundel of Wardour in 1752 and the house was given to them as a wedding present. As a result, the house became known as Arundells. 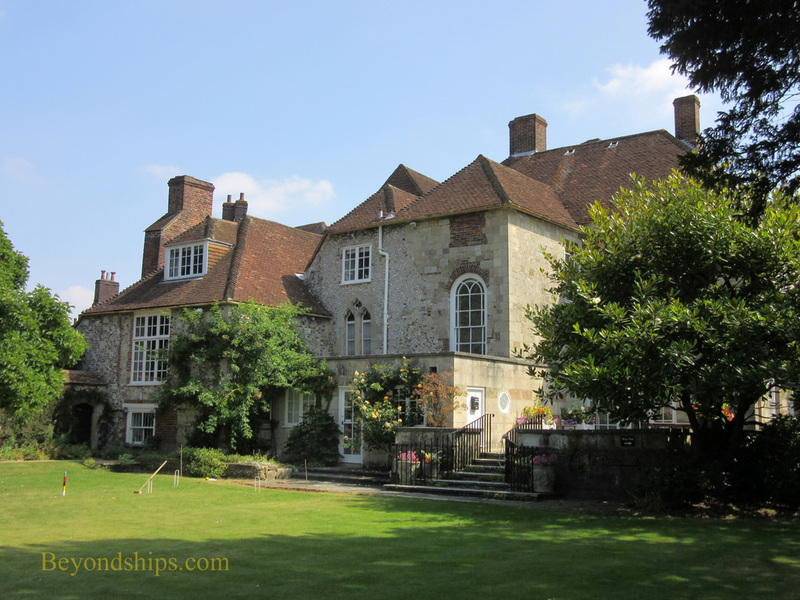 In the 19th century, the house was used at times as the Godolphin girls school and as a boys boarding school. During World War II, Arundells was used by the Red Cross. After the war, it fell into disrepair and demolition was contemplated. 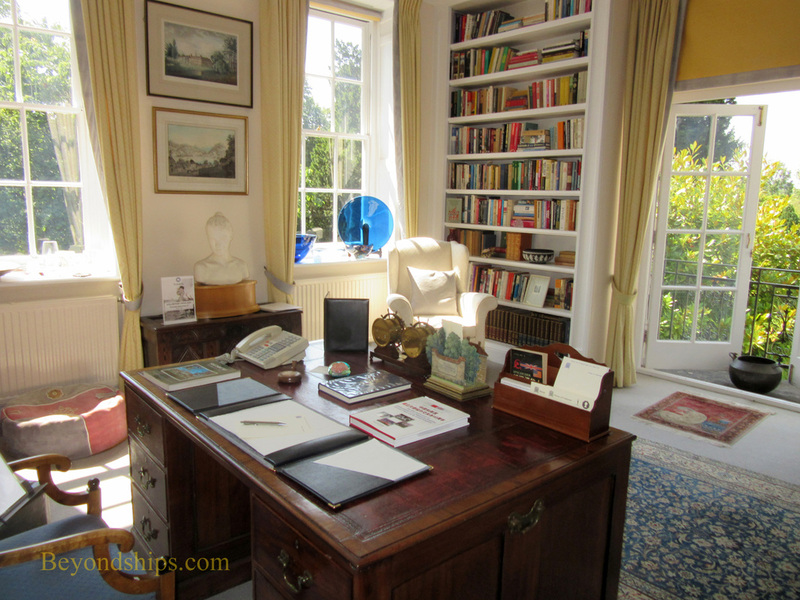 However, the house was rescued by Mr. and Mrs. Robert Hawkings who renovated the property. Sir Edward acquired the house in 1986 and the property in 1992. He commissioned interior designer Derek Frost to modernize the house while preserving its Queen Anne style. The result was a house that is elegant, bright and cheerful. The walls of the various rooms are done in light colors with white trim and white ceilings. Artwork (including works by John Singer Sargent and Sir Winston Churchill), photographs, antiques and mementos provide points of interest. Natural light flows through the large windows. While the house is interesting architecturally, its recent history is of more interest. All too often when a major public figure dies, his or her home is dismantled and the belongings are scattered to the winds. A generation or so later, people ask why wasn't all this preserved for its historic value? 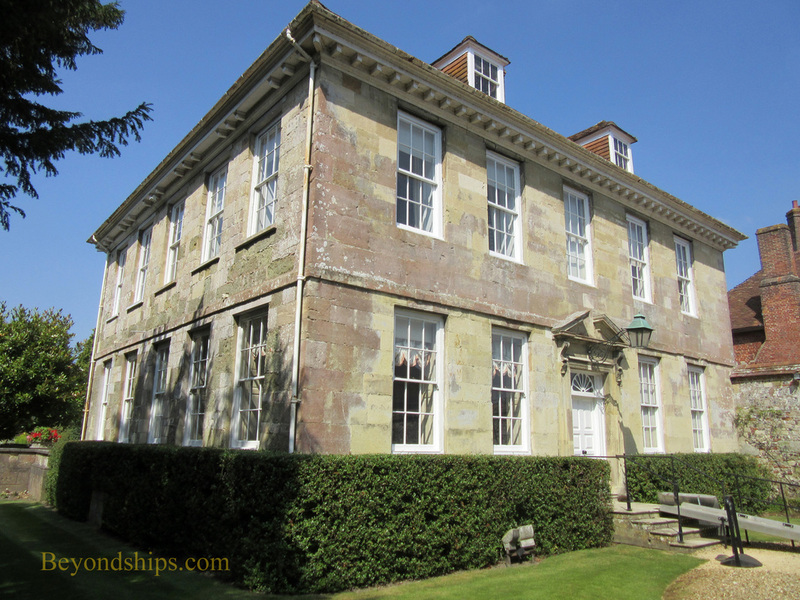 At Arundells, the house and its contents have been preserved much in the way they were when Sir Edward lived here. Visitors can see the art he collected displayed the way he had it displayed. 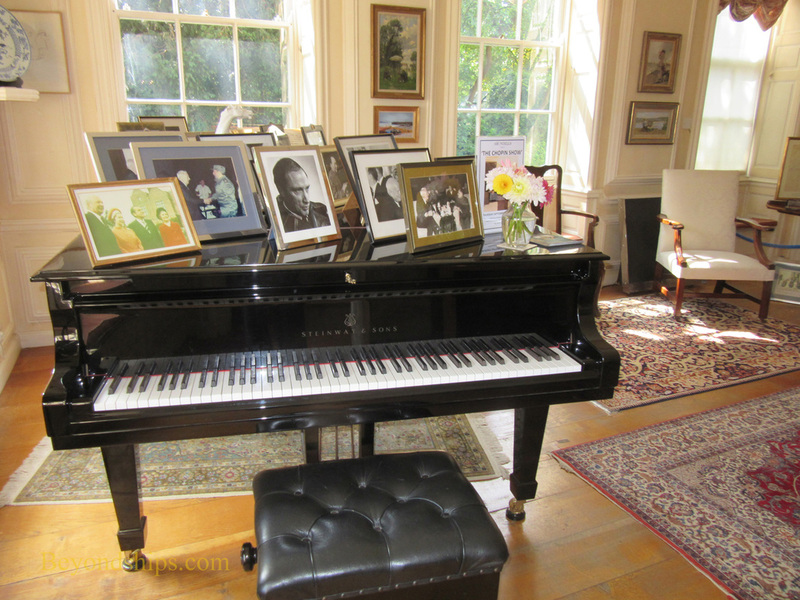 The large role sailing and music played in his life are evident from his possessions. 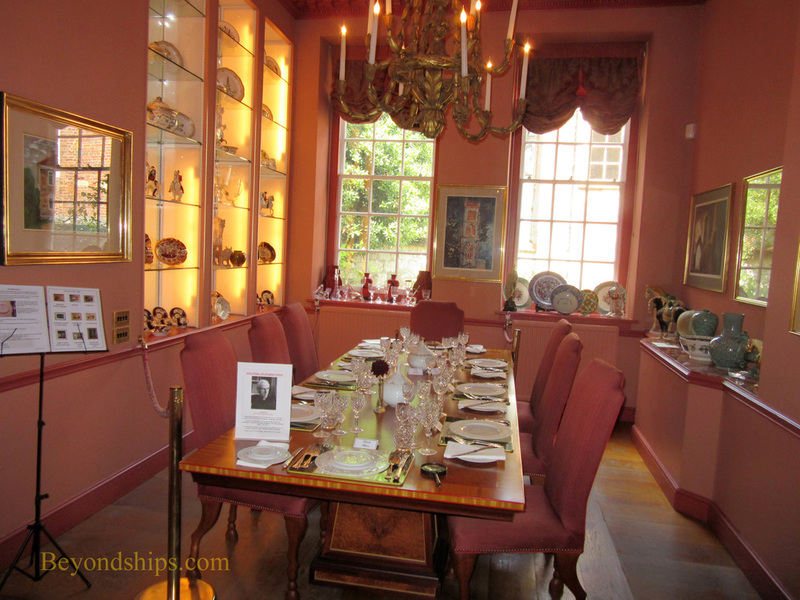 The dining room is set in the way it would have been when famous visitors came to call including we are told such diverse personalities as his political opponent Sir Harold Wilson and members of the Monty Python comedy troupe. Thus, Sir Edward emerges as a multi-dimensional person rather than a name in the history books. On certain days, visitors take self-guided tours of the house. On others, Arundells is presented via tours conducted by guides who have been trained not only in the knowledge of the house but also in the life of Sir Edward. Therefore, visitors can ask questions and discuss the significance of the various objects in the house. 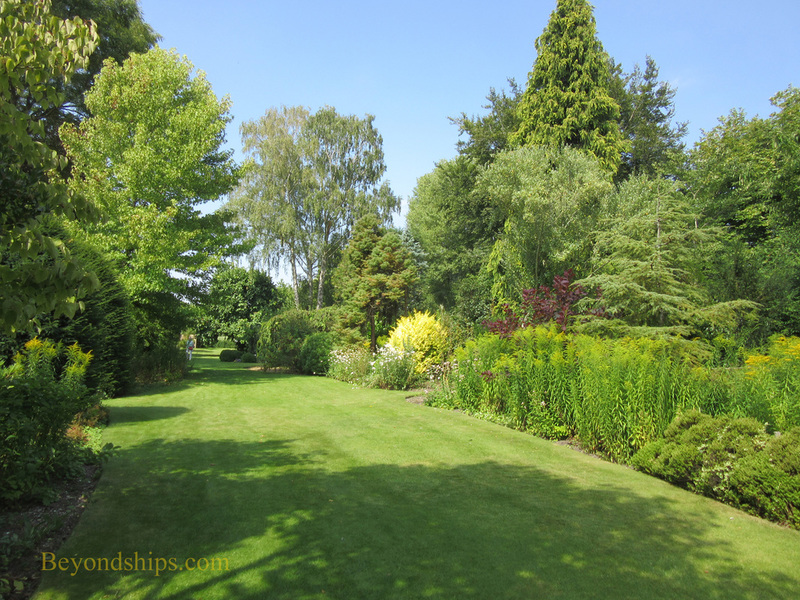 Even if one has little interest in recent history, Arundells is worth a visit because of its delightful garden. It is about two acres and stretches from the house back to the intersection of the rivers Avon and Nadder. Tall trees isolate the garden from the busy area around the cathedral. However, the cathedral spire rises up above them in its magnificence making for beautiful vistas. Above: The back of the house from the garden. 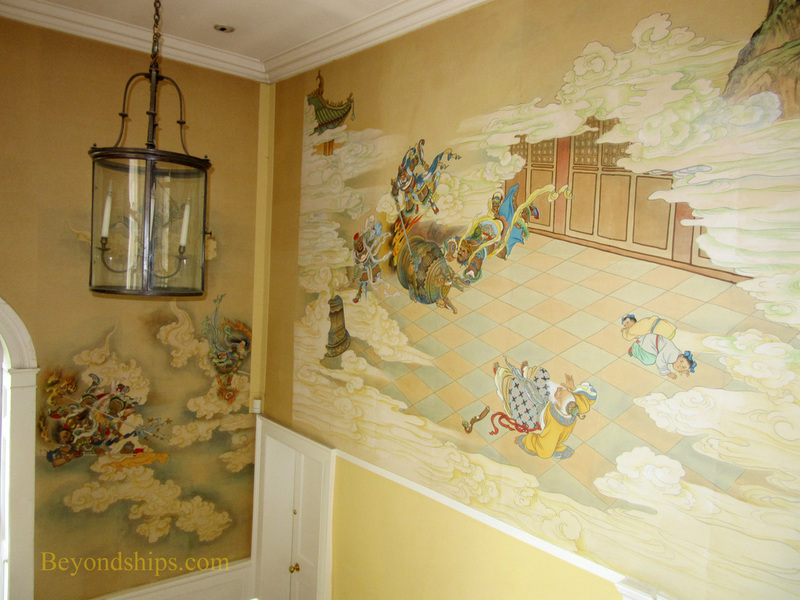 Below: The staircase is decorated with four hand-painted Chinese wallpaper scenes from the Legend of the Monkey King. 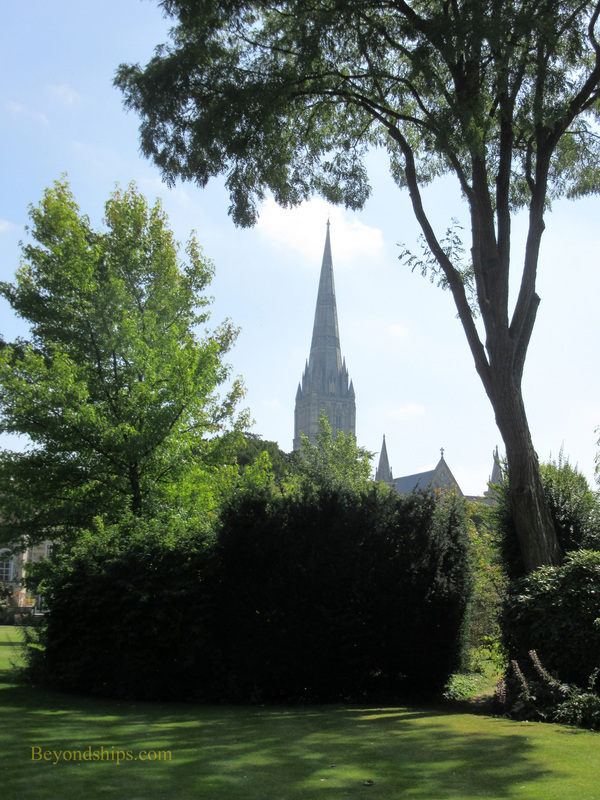 Left: The Cathedral spire from the garden. Below: The garden looking from the house.